Warning: This product will exceed your expectations. ANTI-ICKY-POO IS 23 TIMES MORE POWERFUL THAN THAT "MIRACLE" STUFF....... REALLY! For those who may be fragrance intolerant, Unscented Anti-Icky-Poo works exactly the same as original Anti-Icky-Poo in removing cat odors and dog odors, such as urine or any decaying organic material. Use on skunk musk, diaper pails, moldy closets just about anything. The same odor removing power as Anti-Icky-Poo, but without the slight perfume fragrance. 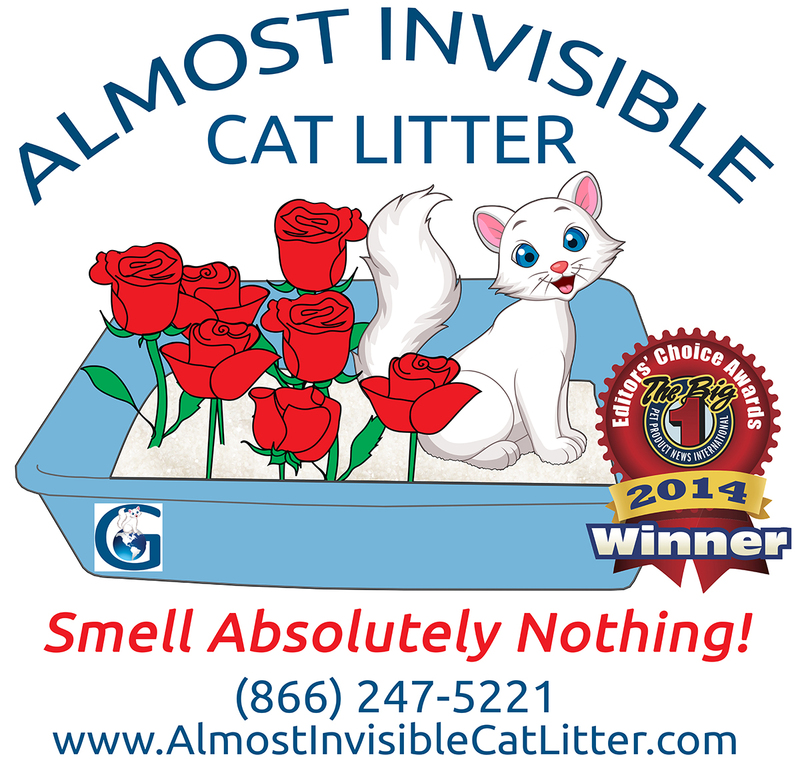 Order today and be on your way to removing odors, stains and more from your home! Anti-Icky-Poo is the USA’s most highly recommended product in its category by veterinarians and other animal care professionals. 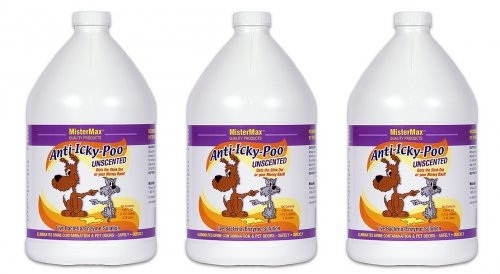 Anti-Icky-Poo Unscented uses a combination of enzymes and live bacteria that literally consume most types of decaying organic materials including urine, feces, vomit, sweat, skunk musk and dead animal smells. It works safely and effectively on carpet, wood, tile, plastic, fabric, dry wall, cement and almost any other surface material. Anti-Icky-Poo Unscented is eco-friendly and environmentally safe. If you have an odor problem, we will guarantee that Anti-Icky-Poo Unscented will provide the solution, no matter how long the order has been in that location. Anti-Icky-Poo Unscented has no smell or scent. If you do not like smelling fragnances, Anti-Icky-Poo Unscented is the right product for you. It is the perfect product for removing odors from small rooms, automobiles, and places where we need to be during treatment. If you have an odor problem, we will guarantee that Anti-Icky-Poo Unscented will provide the solution, no matter how long the order has been in that location. Anti-Icky-Poo Unscented will destroy odors and not just cover them up. Its fast-acting neutralizers bind the odor causing molecules, thus limiting their volatility and ultimately leaving the contaminated area odor-free. Anti-Icky-Poo Unscented will digest any malodorous decaying compounds. Anti-Icky-Poo Unscented is designed to eradicate urine crystals and digest any malodorous decaying compounds. We promise to succeed in permanently removing your odor problem by consuming the sources of the contamination safely, effectively, and swiftly. There is no rubbing or scrubbing or mopping up after applying Anti-Icky-Poo Unscented. Just Spray and walk away. Better yet, spray and go relax for a few hours. For best results, spray the entire affected area in 2 – 4 hour intervals the first day (depending on the extent, source and age of the contamination) and 3 – 5 hour intervals the second day. On the third day, spray the contaminated area if you continue to smell odors. Your own nose will tell you when you when the odors are gone. Unlike other products, Anti-Icky-Poo Unscented does not cover up or mask odors. Anti-Icky-Poo Unscented destroys and removes the source of the odors. Only recontamination would cause the odors to return. Anti-Icky-Poo Unscented costs the same but works far better than the best selling national brand. If other products have failed you, Anti-Icky-Poo Unscented is here to help! Anti-Icky-Poo Unscented is 100% performance and satisfaction guaranteed. Our product works safely on every material from silk to concrete. Use Anti-Icky-Poo Unscented first and after the odor is gone, clean the area as you see fit. The directions are simple. Just spray and walk away! Anti-Icky-Poo Unscented will do the hard work for you. Caution: Keep out of reach of small children. For accidental eye contact, flush for 15 minutes with clean water. Wash hands after prolonged used of Anti-Icky-Poo Unscented. DO NOT SPRAY DIRECTLY ON PETS AND AVOID FREEZING. I've tried so many different enzyme cleaners, home made concoctions and other pet odor cleaners that I was skeptical of this one. We sprayed it in the carpet and within an hour the smell was almost gone and by the time it had dried there was no odor left. I'm so happy to finally have found a product that WORKS! Renters moved out of house and had let their large dog do his business throughout the house and enclosed front porch. The smell actually burnt our noses. Never thought we would be able to get rid of the awful smell. It worked like magic! Ripped up carpet but sprayed padding and was able to reuse pad. Daughter moved into house with her pit bull and he doesn't even smell the markings! It even eliminated stale smoke smell from the mudroom! I cannot say enough about this product. Simply amazing! Highly recommend.